Gray Institute – Certificate of Applied Functional Science (CAFS) , Gray Institute – 3D Movement Analysis & Performance System (3DMAPS), Bachelor of Education – Business Studies, Life Coach, Personal Trainer, Power Plate Master Trainer, 3rd Age Womens Health Specialist, also specialising in Stretching and Flexibilty, Pre and post natal training, floor based pilates. Lily knows exactly what it’s like to be unfit and overweight. She’s been there herself. In 1996, Lily decided to change her life and her body. She signed up with a personal trainer and became fit and strong – losing 30kgs in the process. Having experienced the transformational impact of fitness training and eating healthily first-hand, Lily became a personal trainer herself. Lily did her work experience at the back of house gym at Crown Casino and was then employed by her trainer, Craig Harper, from 1999 until she opened her own personal training studio in 2002. 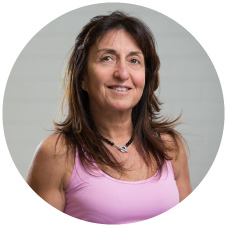 Helping Clients identify and achieve their long-term health and fitness goals is Lily’s mission. Lily’s warmth, compassion and experience make her an inspiring and motivating trainer and mentor. Gray Institute – Certificate of Applied Functional Science (CAFS), Gray Institute – 3D Movement Analysis & Performance System (3DMAPS), Certified Power Plate Master Trainer, Power Plate Presenter, ViPR Pro Trainer, Movement Coach, Computrainer Cycling Coach, also specialising in Mens Health, Stretching and Flexibility, Pre and Post natal training, Boxing and floor based pilates to name a few. Dan Dixon never does things by halves. With a passion for fast cars and understanding how things work, Dan’s first career as a race technician saw him working at the Porsche factory race team in Germany. Ready for a new challenge, Dan was so inspired by Lily and his own health and fitness success that he took control of his own destiny and decided to help others take charge of theirs as well. 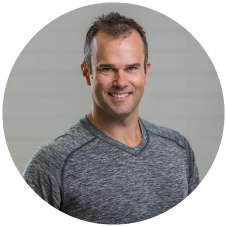 With his transformed body, Dan completed the Personal Training course then worked at Crown Casino back of house gym, followed up with some private clients, then joined Lily and founded Revive. Dan believes that achieving goals is all about hard work and having the right attitude. His experience fine-tuning peak performance engines is perfectly aligned with his philosophy for personal training. He’s dedicated to helping each client set health and fitness goals, and empowers them to plot a path to their own success.